You’re here because someone thinks that you would make a great school governor. We can help you find a school that is looking for someone just like you! But why become a governor? You will make a positive difference to the lives of young people. You have the opportunity to develop your personal and professional skills. You can give something back to the heart and soul of your local community – your local school. 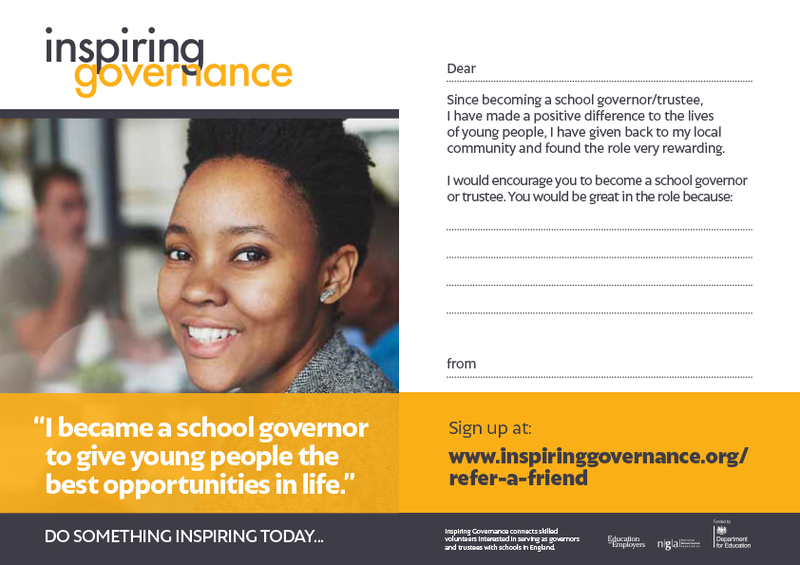 Know someone who would make a good school governor? You can download and send them this editable e-postcard. Fill it in and send via email, Facebook, WhatsApp or any other digital service. Or you could just print one out!